Overview: Analyze your link profile compared to competing websites, and find pages which would be great sources to get links from. Many modern major search engines consider links to be signs of trust or votes for websites. Great in content links also can send a large stream of targeted high value traffic. At the bottom of this page I inserted a few free videos as an introduction to link building. We also worked with SEOmoz to offer a free 1-month trial to their service, which gives you access to their Open Site Explorer link data. SEO Toolbar - Imports link data from various sources and makes it quite easy to compare sites against each other. SEO for Firefox - Import useful marketing data (including link counts, with links to source data) right into Google and Yahoo search results. Google Webmaster Central - allows you to sign up for Google Sitemaps, shows some crawling errors, broken links, and a fairly comprehensive view of your backlinks. However, while it offers you a significant catalog of backlinks, it will only give you data for your own websites that you have registered with Google. You can also add anchor text checking to Google Webmaster Central by using this free Greasemonkey script. Bing Webmaster Central - similar to Google Webmaster Tools, but recently they also started providing free backlink data for competing websites as well. Yandex Webmaster Tools - portal from Russian search leader. Exalead - primarily a provider of enterprise search solutions, which still offers a web graph to search against (much like how Fast Search & Transfer offered AllTheWeb many years back). Common Crawl - a free web crawl with link graph data from Common Search. Web Directories Reviewed - editorial post about what directories are the most valuable from an SEO perspective. Reciprocal Link Checker - script to help you automate finding out if your reciprocal link partners are still linking back at your site. Link Suggest Tool - list of words and phrases like add URL, directory, ezine, etc. where you may be able to add links or buy ads. Screaming Frog SEO Spider - similar to Xenu Link Sleuth with a lot more features. Free on smaller sites and has a paid premium version. Here is an in-depth user guide. SEO Kicks - free German link graph. recently they launched an English version. Link Building Toolbar - helpful toolbar from HitReach. W3C Validator link checker - finds broken links in a document or in a website. There are also numerous Chrome & Firefox extensions which have similar features baked into them. Unlinked mention finder - free tool offered by RankTank, which imports Google search results into Google Docs to find unlinked brand mentions. Need Help With Link Building? If you are scarce on time & want to hire help, we recommend contacting some of the best link builders in the world, like Garrett French & Jim Boykin. If you are a DIY type, we offer a free guide that shares 101 link building tips. If you need training for your inhouse staff we recommend Debra Mastaler. She also offers a great directory of link building tools. Most of these tools feed off of databases built by crawling the web to create their own proprietary index of link data. Ahrefs - newer player to the market similar to OSE & Majestic. Combines strong data depth & a great usable interface deep in features. Open Site Explorer - useful web interface for exploring link data. Also allows you to download link data on a per-page or per-site basis. Majestic - similar to Open Site Explorer, but also offers archived historical data. & has a far larger database. URL Profiler - see if pages are cached in Google & retreive other metrics from 3rd party data sources like Ahrefs, Majestic & OSE. Buzzstream - Buzzstream can be thought of as a project management tool for cataloging link building opportunities & tracking progress with contacts. Here is our Buzzstream review. Advanced Link Manager - downloadable software in combination with Advanced Web Ranking for $149. While ALM does not have its own link index, it does allow you to import data from OSE, Blekko & Majestic SEO. 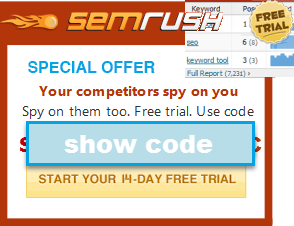 Some other competitive research tools like SEM Rush & SearchMetrics are working to integrate link data too. There are a variety of public relations pitching services like PRLeads, Haro & ResponseSource. You can look up top performing social content in tools like Ahrefs. There are also tools like this one to come up with article ideas. Here is a guide to social media image size optimization. These are tools that were offered by search engines, our site, or other webmasters that have fallen by the wayside. Link Harvester (retired) - web based tool allows you to quickly & deeply query the Yahoo! database and gives a good amount of link details. Makes sorting out duplicate links easy & highlights .edu links and C block IP addresses, but does not provide link anchor text. Link Popularity Comparison Tool (retired) - allows you to quickly and easily compare your link popularity scores to other websites. Internal PageRank flow Calculator (retired) - allows you to see how your internal link structure flows PageRank throughout your site. Hub Finder (retired) - web-based, fast tool finds topically related pages by looking at link co-citation.